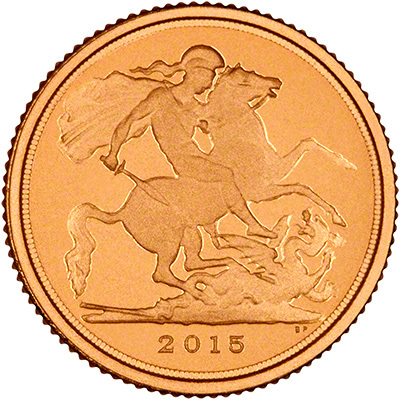 The 2015 sovereign features the traditional St. George and Dragon design by Benedetto Pistrucci. Our prices show a worthwhile saving compared with buying from the Royal Mint at their official price. We do not know whether The Royal Mint are producing an uncirculated version this year. We will not be stocking the quarter proof sovereign. We will only have it in stock if we purchase it off the secondary market. 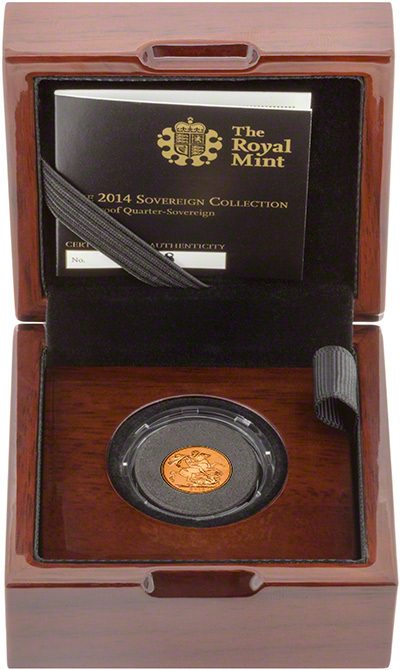 Please see our 2015 British Gold 5 Coin Sovereign Proof Sets for further news. 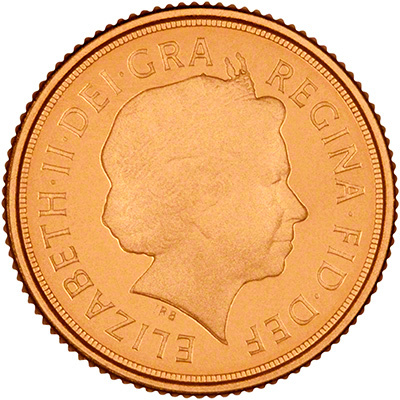 We also have the 2015 sovereign available in both uncirculated and proof and the proof half sovereign.